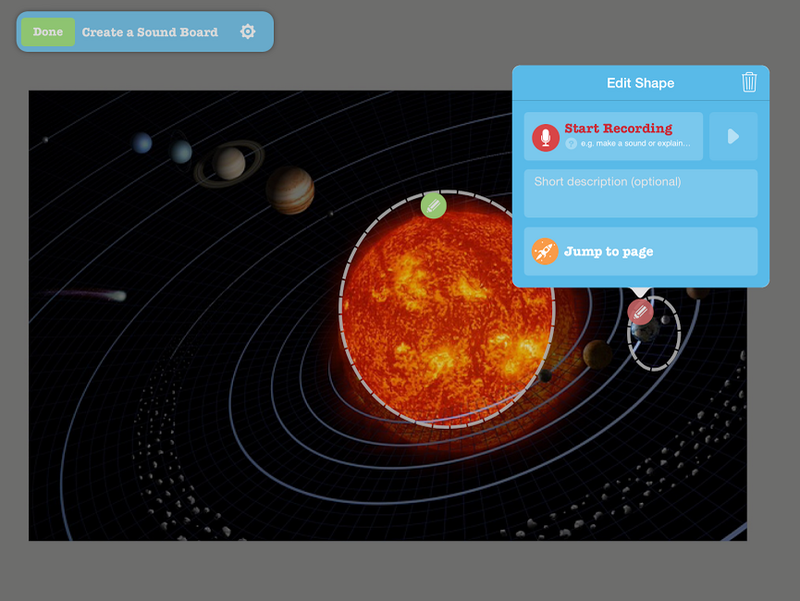 TinyTap is a great iPad app for developing your own educational games. I've been a big supporter of the app since it launched a couple of years ago. TinyTap has always been targeted toward the K-3 crowd, but it can certainly be used with older students too. To reflect that TinyTap has uses in older grades, the developers gave the app a bit of a facelift and added some new features. TinyTap still works the way that it always has, but some of the decorations and animations that were included to appeal to young students are optional rather than default settings. The feature of the updated TinyTap app that I like the best is the Sound Board option. A Sound Board is an image or set of images to which you add your voice. To create a Sound Board you highlight elements of a picture then record yourself talking about those elements. When a student views your Sound Board he or she can tap on highlighted portions of the image to hear you talking about them. This could be a great option for creating a narration of a flowchart or a diagram.